Puerto Rico. You Can Too, Let's Do This. The Hub Account(s): A “Hub account” is usually a savings or checking account that allows you to ACH transfer out and in for free. 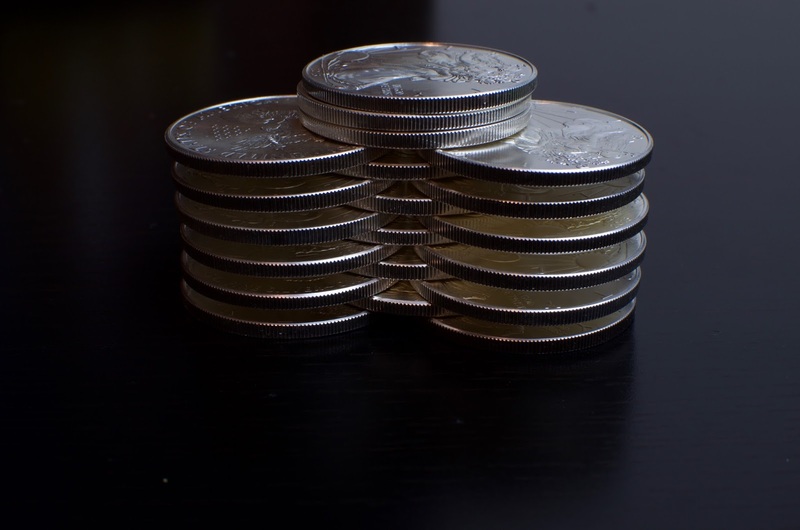 If it is a savings account: Federal law limits you to 6 withdrawals per month. Checking accounts may have their own limits set by the bank. You use transfers from the Hub accounts to meet the requirements of your Money Farmer Accounts and grow your money, if only a hair faster than inflation. If you had $1,000,000 under your bed in 1950 and you saved it till today, you would still have $1,000,000 today. But in 1950 you could have bought 10 TIMES MORE STUFF with your million bucks. A house cost less than $10,000. This is because of inflation. On average Your money can buy 3% less stuff next year if you save it under a mattress. 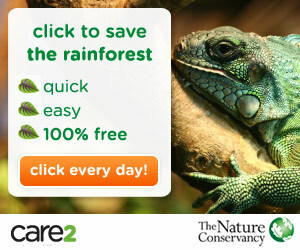 Sign up for a Free Discover SavingsAccount HERE. As of April 2017 this account will earn you 1.2% APY interest on your balance. To compare, My Bankofanotherfeeforya Savings account earns me 0.01% APY. 100 times less. IT GIVES 100x MORE THAN BANKOFANOTHERFEEFORYA. Check your savings account rates. If your rate is is higher, let me know in the comments below. At 1%, the Free Discover SavingsAccount reduces your cost of inflation by 33%. $1000 in 5 years can buy $850 worth of stuff. If that same $1000 was in your Discover Savings Account you could still buy $903 worth of stuff. YOUR MATTRESS IS STEALING YOUR MONEY. HA! I just thought of a good analogy. It’s like working out. If you don’t work your muscles out they will atrophy and get weaker. Likewise, If you don’t work your money out, it will inflate and get weaker. WORK YOUR PIGGY BANK! DON’T LET INFLATION GET YOU DOWN! *** I Had A Chat with Carlos from Discover Bank and he told me that if you are going to leave the funds alone for 1 year or more, that it is a good idea to log onto your account and message or call them so they keep your account active. If you haven’t logged on in over a year, they might think your account has been abandoned and mail you a check for the balance, So log in every once in a while and keep in touch! Lessson 2: Sign Up For Netspend cards. 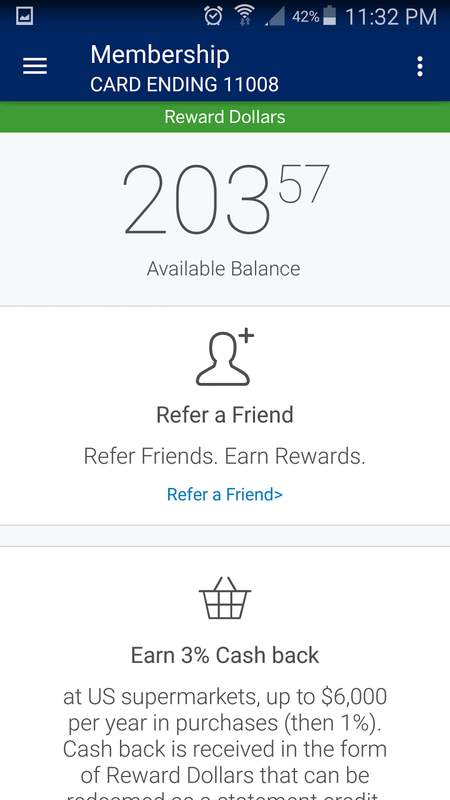 If you use my referral code to apply for one of these cards, you will get a $20 bonus when you deposit $40 or more onto the card. You will only get the bonus if you haven’t gotten a bonus in at last 6 months. **If you DO HAVE $1000 for each Netspend card you sign up for then you will make more money in interest if you order the cards 24 hours apart and load them with $1000 as you get them. The reason they have to be 24 hours apart is because they are all part of the Netspend card system and it will create errors if you don’t order them 24 hours apart. **IF YOU DON’T HAVE $1000 for each Netspend card, then sign up for one card at a time and put money on that card until at least 6 months passes, then sign up for the next card. This way you will get the sign up bonus each time which is almost as much as the interest that you would have earned if you had loaded the cards in the first place. Once you get the Netspend card in the mail, activate it online or by calling the number on the card. Log on to your account and once you get to the main screen, on the left hand side there is a button that says “Direct Deposit”. Once you click it you will be taken to a page that has a routing number and an account number. These go to the CHECKING account that the card is attached to. Copy the routing number and open a new tab/window. Follow the instructions until you get to a confirmation screen and log out, or if you have multiple cards, repeat the process with each of them. A few days will go by and I even received a phone call from Discover asking if this was really me. Nice job Discover fraud department! Then two small transfers will deposit in to the account and one will transfer them back out. Write down the numbers as 1, 2, 3, Where #3 is the transfer out and #1 and #2 are the two transfers in. Log back in to your Free Discover Savings Account and you will see a box that says “You have accounts ready to confirm.” Click it, and enter deposit #1 and #2 in order. Then click confirm. Once the account is confirmed go into “Transfers” > “Make A Transfer” and set up a one time transfer for somewhere between $40 and $1000 dollars. 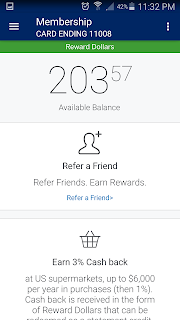 If you used my referral code you can transfer $980 from Discover and Netspend will give you a free $20 to make it $1000. You can get this bonus once every 180 days. Take the interest and put it in the Discover savings account and use that to fill the Netspend cards until there is $1000 in each savings account. The cards and routing number are attached to the CHECKING account which earns $0.00 in interest per year, but if you deposit $500 in one month you get to sign up for the ULTRA HIGH INTEREST SAVINGS account that offers 5% APY for the first $1000 and 0.5% for everything above that. That’s $50+ per card! Sign up for the savings account as soon as they offer it to you, and transfer all the money on the card to the savings account until you have $1000 in savings. The $20 bonus posted SAME DAY. Wait 24 hours if you have $1000 to load, wait 180 days if you don't. 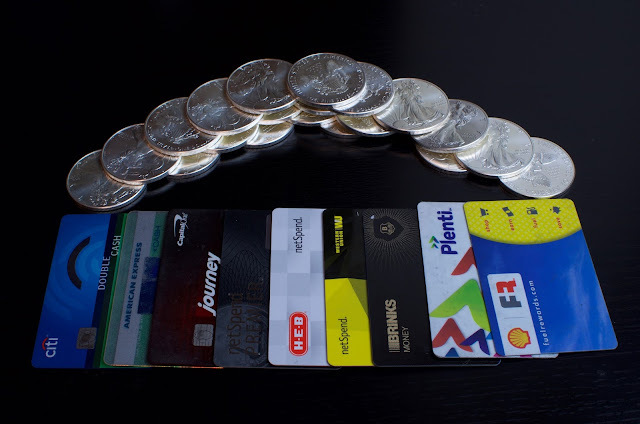 The reported MAX number of Netspend cards you can sign up for is 3 accounts per backing bank. (check the fine print on the back of your Netspend card) In My case I have two with BofI and three with Metabank, so I probably can’t sign up for any more Metabank backed Netspend Cards. You can try, the worst that will happen is you will be turned down. 6:??? This spot is theoretical, I don’t have 6 cards, but there are 6 free transfers per month from the Discover Savings account so you COULD have six. https://www.paypal-prepaid.com/ is an option, but if you were going to get another bank account, like the Northpointe Credit Union account that offers 5% APY up to 10k if you use the account as your main checking account. No fees as of 10/2017. When I say Free Money, You still have to pay taxes on it. The Netspend cards DO have fees. An inactivity fee of $4.95 applies if you don’t use the card at least once, or make an ACH deposit to the card every 90 days. If you followed step 1. Your Discover Savings Account allows up to six free automated transfers per month. All you have to do is link your Discover Account to your Netspend accounts and set up an automated transfer of $25 to each Netspend card every month. Then transfer a $75 back to the Discover account every 3 months. 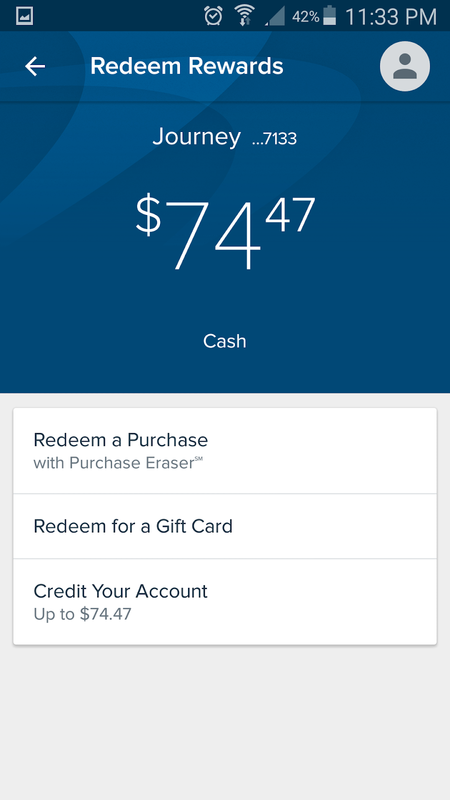 (Deposits don’t count towards the 6 transaction limit) Every time you see that you get your $75 back into your discover account you know interest has posted on each of your Netspend cards. To get the money OFF your Netspend cards you have to log on to each card, move the interest from the savings account to the checking account (the card) THEN you can ACH transfer it to your Discover account. For this reason I tend to leave it alone and transfer it maybe once per year. After all, any balance over $1000 still earns 0.5% interest. That’s 50 times better than Bankofanotherfeeforya. But if you are trying to squeeze every red cent out of your interest, transfer the excess to the Discover account the day that it posts and you will make an extra $0.25 per card per year in interest. You COULD only make 1 transfer every 90 days, but since computers usually mess up at some point in their lives I figured I would safeguard against a transfer not going through and them slapping me with fees. (Over 10% of Netspend’s income is from fees like these!) This way two out of three transfers could fail and I would still be fee free. Now that you have the Netspend suite set up and your savings is making you money. Now it’s time to look at ways to maximize the value of all the money you SPEND. All have a $0 annual fee. 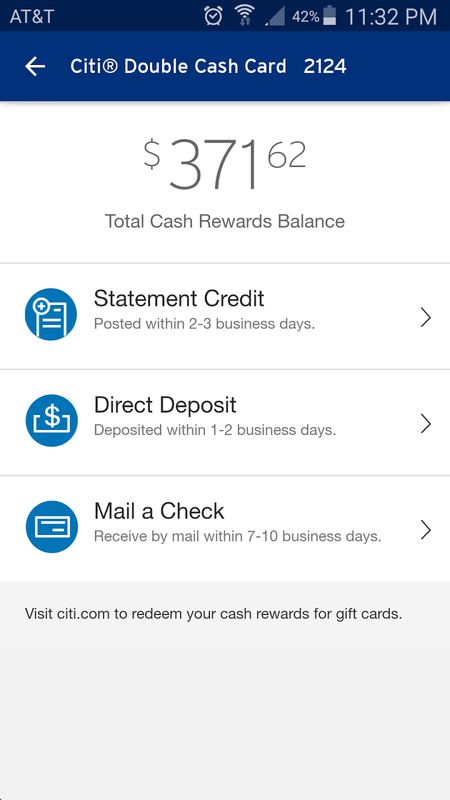 Most of the time I use the Citi DoubleCash card because it gets me 2%. And finally Costco only accepts Visa so I use the Journey card to get an extra 1.25% on top of the 2% that the executive membership gets me there. For a total of 3.25% back. I have now Added the Discover IT card to my armory to get 5% back on Amazon and Target till January. This is also a $0 annual fee card. PROTIP: Pay Your Bill On Time. Seriously it’s 30% of your credit score and a late payment stays on your report for SEVEN YEARS. I pay my bill weekly, but I screwed up bad and racked up 8 late payments after college. It’s called “serious delinquency” and even though I have a 650-720 score today, it’s a 650-720 WITH a serious delinquency in the past 7 years. If you are actually looking at my credit report I look like a risky case. I could pay you. Or I could drop off the face of the earth for two years while I “Find myself” You don’t know, and you wouldn’t know from just my number. The moral of the story is PAY YOUR BILL ON TIME!!! Swipe your loyalty card for 3 cents off per gallon automatically, you can link a credit card for opportunities to earn bonus cents off. All rewards are redeemed on next fill up, up to 20 gallons. So to get the most value here, fill up two cars to get the full 20 gallons worth if you earn the 25 cent/gallon bonus on your next fill up. Shell Fuel Rewards is a MINIMUM of 3x better than Plenti Plenti gets you 1 point per gallon worth 1 cent. The SILVER account gets at least 3 cents per gallon off every time, the GOLD account gets at least 5 cents per gallon off every time. You can also link your credit cards and get fuel rewards for purchases. For instance: as of October 2017 they are doing a promotion giving an extra 10 cents off per gallon if you spend $100 at a participating grocery store. My favorite store HEB, is one of those stores! The bonuses stack up, so you would get 5c+10c= 15 cents off your next fill up just for getting groceries. However it is not limited to groceries, fast food like Jack in the Box offers 5 cents off when you spend $50 or more. Before you ask, yes. The purchases can be split up into $25 or more increments. I cant imagine what spending $50 in one go would look like at Jack in the Box. So I'm glad they let you split it up. According to the terms, you can get gas as cheap as 11 cents per gallon. Thats a whole tank of gas for $2! If you aren't a company driver, I would suggest Shell Fuel Rewards hands down over Plenti. Even the customer service is better. I called Fuel rewards saying my ALT ID wasn't tracking my points and they told me exactly how to fix the issue then gave me 10 cents per gallon off next time for my troubles. I had a similar issue with Plenti where a bonus never posted for the App I downloaded even though I fulfilled the requirements. I messaged them on August 24th, didn't get a response until September 18th, and as of October 28th, the issue is STILL NOT RESOLVED. It's like a friend saying they will give you $20 for helping them out, and you do, then they don't pay you and hope you will forget about it. So, from my experience, use Shell. Plus if you sign up through any of my links you will start off with 25 cents off per gallon! Accepted at: Exxon, Mobile, AT&T, Macy’s, and many more. 1 point per gallon, 1 point per dollar inside, lots of opportunities for bonus points to rack up. Points expire after two years, so spend them in January-February to get the most value from each point. The benefit with Plenti comes when you put gas in someone else's car. I drive 50 gallon gas tank trucks for work. When I fill the tank four times I can have two bucks off, which is almost a gallon of gas right now. I can save the points up and put those savings in my personal car's tank when gas is in the $2/gallon range. 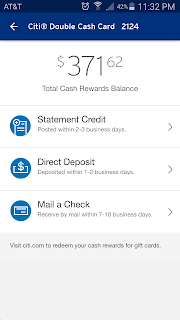 Besides using my American Express Blue Cash Everyday card and getting 3% back there, I also use a rebate app called Ibotta. You select a rebate like $0.25 off life cereal, Buy it in a participating store and scan your receipt with the app. They basically sell the information about what kinds of things you buy to advertisers who want you to buy their stuff. The advertisers may even offer a coupon for their product. Ibotta compiles all the data and sells that. You might be an outlier who only buys Kerrygold Butter and all other things are generic brand. That’s not really useful to an advertiser, but if you have 10,000 people submit a receipt you can calculate an “average customer” and that is VERY useful to an advertiser. You can paypal transfer out or get a gift card for any balance over $25 cash back. I have earned $54.75 $71.00! so far with iBotta. 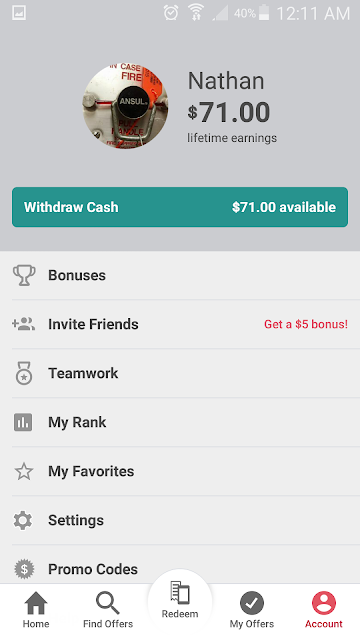 Update Oct 2017: I have earned $71.00 with Ibotta. If you read all 2800+ words in this series of posts, kudos to you. You are on your way to financial success. Not just because you read my article, but because you are researching, finding what will work for you, and I applaud your efforts. I’m almost 30, I wish I would have gotten interested in this stuff 10 years ago. This isn’t “Get rich quick” advice, this isn’t even “Get rich” advice. This is “Get on your feet” advice. The bank accounts are FDIC or NCUA insured to $250,000 per account so there is no risk in holding your money in these accounts. Unlike, say the stock market where you can lose all of the money you invested. It’s a scary world out there, on average the stock market earns 7% interest, better than any bank account or credit card I know of. These bank accounts have relatively tiny limits compared to the amount of money you are going to need to get you through retirement. Not thinking about retirement? I wasn’t either until I was $20,000 in debt. Now look where I am! I pick up change on the ground because I believe it’s God’s cash back program for me. Every time I find a penny, I thank God and save it in a box. 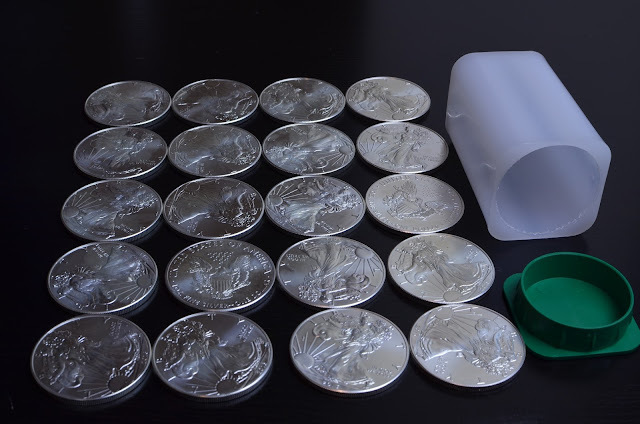 When I get enough to buy a piece of silver I will cash in the ground change for a piece of silver and do that every time it adds up to enough. 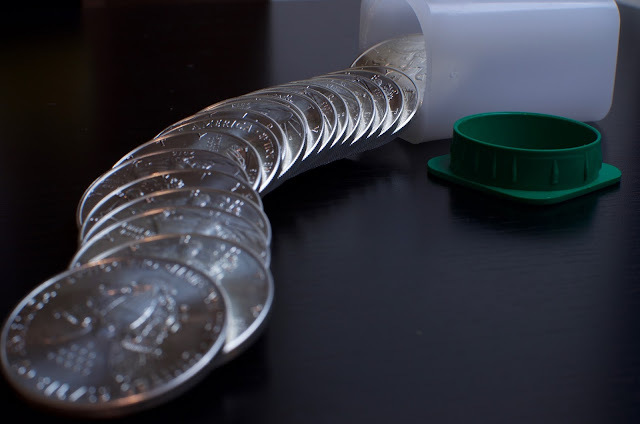 As listener said “Keep your eyes to the ground for change.” A penny saved is a penny earned. (I pick up change as a Cash Back Program from God. Then one day at Costco I found this penny glued to a rock and knew it was meant for me.) It's over $20 so far! If you put each of those pennies into an IRA, in 30 years you would have OVER 700% of what you originally had (or the market could crash and you could lose everything...no pressure). Precious Metals don’t appreciate too much because they aren’t doing any work. Money in an IRA is money invested into companies that want to turn your money into more money. That being said, when stocks go down, precious metals go up. So it’s a smart idea to diversify your assets. May Check in (1 lb of FREE silver!) and my Savings account got a RAISE! Free $20 now, Free pound of silver later! 1: I bought the silver intending to give it away at Christmas/birthdays/to extraordinary people. 2: It was FREE. Didn’t cost me a dime because of all the cash back and interest I have earned from the Workthepig system. 99% of it is purely cash back this year, I didn’t set up my Netspend suite until the last few months so $0.14 is interest from Netspend it will be $250 this time next year because I have five cards loaded with $1000 each in their respective savings accounts. I have scheduled ACH deposits from my free Discover Bank Account to each Netspend card to waive the “inactivity fee” associated with each card. I do $25 per month so I know when the account says there is $75 on the Netspend card, interest has posted! 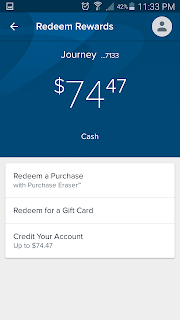 It’s not much, and you can withdraw $75 every 3 months back to your discover savings account so you don’t have to keep messing with the money. Set it and watch it grow for you. You could transfer all of the interest out once per year and get $50 per year per account, $250 in my case. So next year I could buy ½ pound MORE SILVER because of the interest from the Netspend accounts. 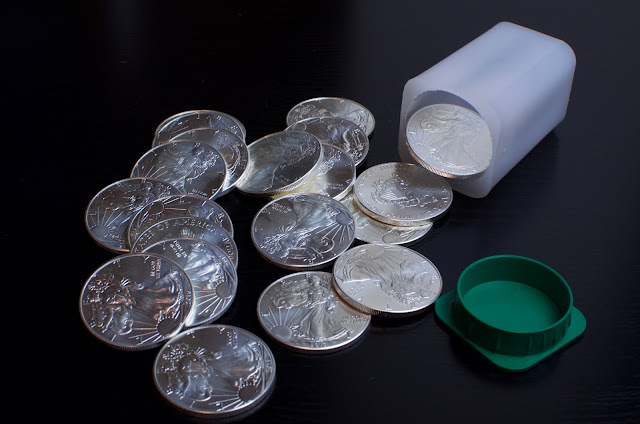 Assuming silver stays the same price, which it won’t. April 2016 I had a 486 credit score. I had failed to pay my student loans to the tune of $14,000 and because I didn’t pay them, the interest compounded until I owed $20,000. Double Whammy. AVOID AT ALL COSTS, This applies for CREDIT CARDS TOO: you end up PAYING INTEREST ON your INTEREST. It’s the worst. I had a $1500 limit on my Capital one Journey card so I spent less than $150 each month and paid off my balance. By staying/utilizing under 10% of my credit limit (Called “Credit Utilization”) I got the BIGGEST CREDIT SCORE BOOST that you can get. Under 30% is ok for your credit, under 20% is better and under 10% is best. After paying my bill on time for 4 months with low utilization I applied for my next two cards on the same day. Literally back to back. Those cards were the American Express Blue Cash Everyday card that gets me 3% cash back at grocery stores and the Citi Double Cash card that gets me 2% back anywhere. My Citi card is a Mastercard, but I am not sure if they are all mastercards. All three of these cards have $0 annual fee AND get cash back, meaning I can sock drawer them if I end up not needing them anymore and use them once a year. This is different from a card with a $75 annual fee. Because you have to pay to own it every year, and if you stop paying, your average credit age will go down, which is bad. You know what all that free money can buy? But you don’t have to buy silver, you can buy whatever you want. Rent? Diamonds? A fine suit? Groceries? Pay off debt? It’s your money. YOU DECIDE. You work hard to fill your piggy bank’s belly, it should work just as hard for you. MoneyFarmer.org Growing Money Farmers since 2017! 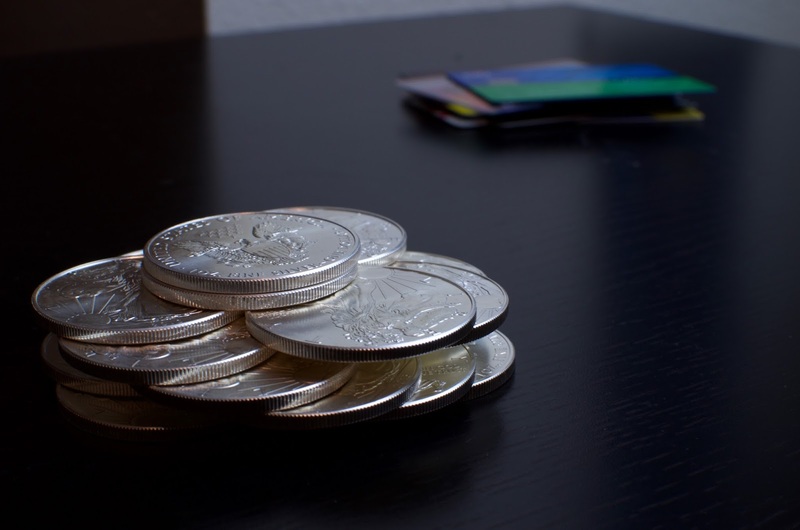 BECOME A MONEY FARMER AND CLAIM YOUR SILVER TODAY. Stop paying full price for life! You work hard to fill your piggy bank's belly, it should work just as hard for you. !!!!!UPDATE!!!!! Since posting this I have elected to pay for the silver in cash and use the cash back combined with the interest from my high interest savings accounts towards a 5 day trip to Puerto Rico! It was the most amazing experience that I have ever had, HANDS DOWN! It's not like I returned the silver and bought it again with cash. The cash back is in my account, so if I have accrued $500 in cash back then something worth $500 would be free to me. It doesn't mater what was free, it's that you got $500+ in value back from the spending and saving you are already doing anyways.